One of the most fun and exciting parts of Halloween is being able to carve a pumpkin! Sure, the costumes and decorations are awesome, but who can resist cutting into those round, orange babies every year? After all, you can literally make anything you want! On top of that, it's National Pumpkin Day, aka: a day to celebrate the season of harvest and one of the first signs of Autumn! So what better way to honor this special day than to carve your little heart out? As the video above clearly shows, some people get REALLY into their pumpkin carving skills, while others keep it basic with a spooky mouth and eyes. However way you spin it, this Halloween activity is highly-favored and an all around good time. But what do you say we make things easier? Here are 5 pumpkin carving hacks you need to know this holiday. Check them out! You only need two items for this: a cookie cutter and a rubber mallet. Once you decided what you want your pumpkin to look like, hammer the cookie-cutter shape into your pumpkin with the mallet. 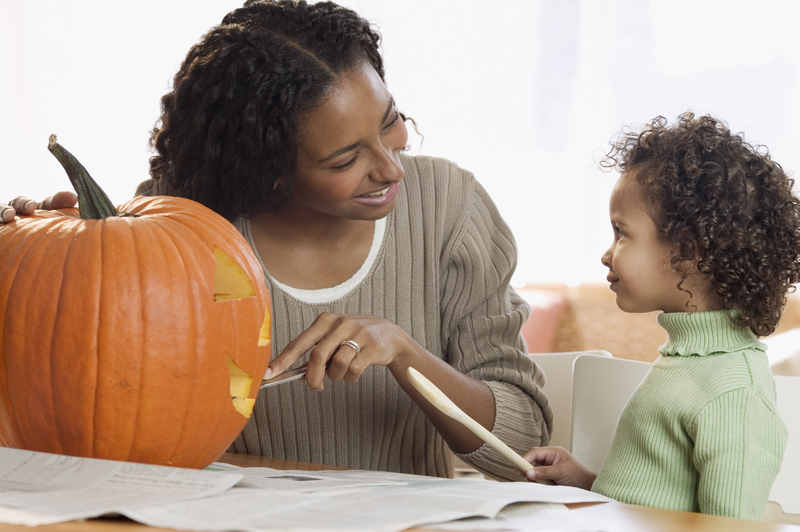 After you're done carving, coat the inside of the pumpkin with a layer of petroleum jelly. Now your jack-o-lantern will last! Depending on the drill bit, you can create circles in all kinds of different sizes. Solar-powered lights are bothenergy and cost-efficient. They're a great way to sketch a spooky face because you can erase your mistakes and start over again without hassle. Click through below for pumpkin spice everything! Need we say more?